Builder Base Attack Strategy - "Mitch"
My favorite attack strategy for my BH6 game is something called, "Mitch". There are two ways to run it - one with 3 camps Beta Minions and 1 camp Night Witches, and another that has 2 camps of each. In either case, the basic design of the attack is the same. This attack works best with level 12 troops, but you can usually get away with level 10 against most rushed bases and BH5. First and foremost - let's talk about what will tank this attack quicker'n quick as this will largely determine your deployment strategy. The biggest enemy to the Mitch attack are the AirBombs and the Roaster. These two defenses dish out a LOT of splash damage to air troops and since Beta Minions are at their best when they're grouped together, you can quickly see where this would be a problem. FireCrackers are a secondary threat. If they have a long time to work on your air troops, they'll definitely sap the power of the attack. Most of the time, though, you can get to them fairly quickly or deploy the attack in such a way to diminish their effects. The other big threat is how the defender has prepared for your attack - traps and mines. Spring Traps and Push Traps, strategically placed, will quickly disrupt the grouping of the Night Witches. Even more so, well placed mines (especially the MegaMine) can take the wind right out of your attack. Most players will deploy the Night Witches from the upper right corner of the game grid. 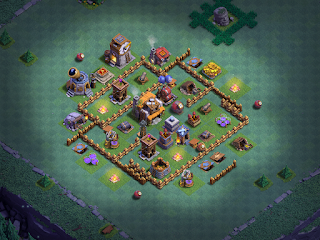 A lot of defenders will put a single MegaMine there, just waiting for you to drop your troops. This is done to dissuade Mass Night Witch attacks, but it's just as effective against the ground component of a Mitch attack. To get around this, many players will first drop their Battle Machine in the corner where the Night Witches will deploy; that clears the mine (if it's there) and allows the Night Witches to begin their attack run safely. One other issue that crops up - the nutty Battle Machine AI sometimes takes it into a base's Crushers early in the attack, ruining his value as a tank. The Battle Machine AI issues are well documented; he seems to be particularly fond of the FireCrackers and standing in front of Crushers while attacking other structures. You need your Battle Machine to survive a little while so the Night Witches aren't taken out by the enemy MultiMortar, so consider this when placing the Battle Machine. The strength of the Mitch attack is in its ability to ferret out mines - protecting Beta Minions - and overwhelm defenses with massive numbers of Beta Minions and Bats. As the Beta Minions - and Battle Machine - work through the base, the Night Witches move slowly into the base, sending their bats in to distract air defenses and cleaning up the bits left behind. En Masse - Drop your Battle Machine in the corner OPPOSITE the AirBombs, followed by Night Witches. After the first run of Bats clear nearby mines set to air, drop all but 3 of your Beta Minions on the same corner of the base as you sent the other troops. You can drop them all in a single spot, a short line across the corner, or multi-finger. The choice depends more than anything else on what the defender has in the corner. For example, I might drop in two spots if the FireCrackers are nearby; or I might drop in 4-5 groups across the top to focus on certain key defenses positioned on the perimeter. Always hold 2-3 Beta Minions in reserve for clean-up or adding where needed. Surgical - Drop one Beta Minion on each enemy structure that is out of the range of air-reaching defenses. As before, place your Battle Machine in the corner OPPOSITE the AirBombs, followed by Night Witches. Continue sending Beta Minions into the base either en masse or in groups as makes sense for the base you are attacking. A variation of either/both - instead of starting from a corner of the game grid, start from one of the four sides. I'll often use this rendition when enemy air defenses are placed in a less convenient fashion or when the base is situated in a corner such that the AirBombs protect the normal deployment lines. Unlike some other troop combinations, Beta Minion based attacks tend to go very quickly. I've had three-star attacks finish in roughly a minute; two-star attacks can be done in as little as 30-45 seconds. Another variation of this attack is one called "Baby Mitch". This runs with 2 camps of Beta Minions, 1 camp of Night Witches, and 1 camp of Baby Dragons. The attack is much the same as Mitch but you drop Baby Dragons ahead of your Beta Minions so they can soak up damage for the Beta Minions' attack run. There are some base designs - more base placement, really - where this attack is not a good choice. These are typically when the base is spread out and placed in a corner with the AirBombs and Roaster covering the other three approach vectors. In this case, I will often switch to a Mass Beta Minion attack and come from the lesser defended corner. Some players may position ground ordnance in such a way as to make the Night Witches' approach untenable. Same thing - Mass Beta Minion will usually do well against these base designs. Builder's Base - BH5 has arrived!